SKU: ECONO27X500. Category: Online Store. Tags: 1" core, desktop, film, gloss, laminating, lamination. Two (2) rolls of 27″ x 500' gloss laminating film on 1″ cores. 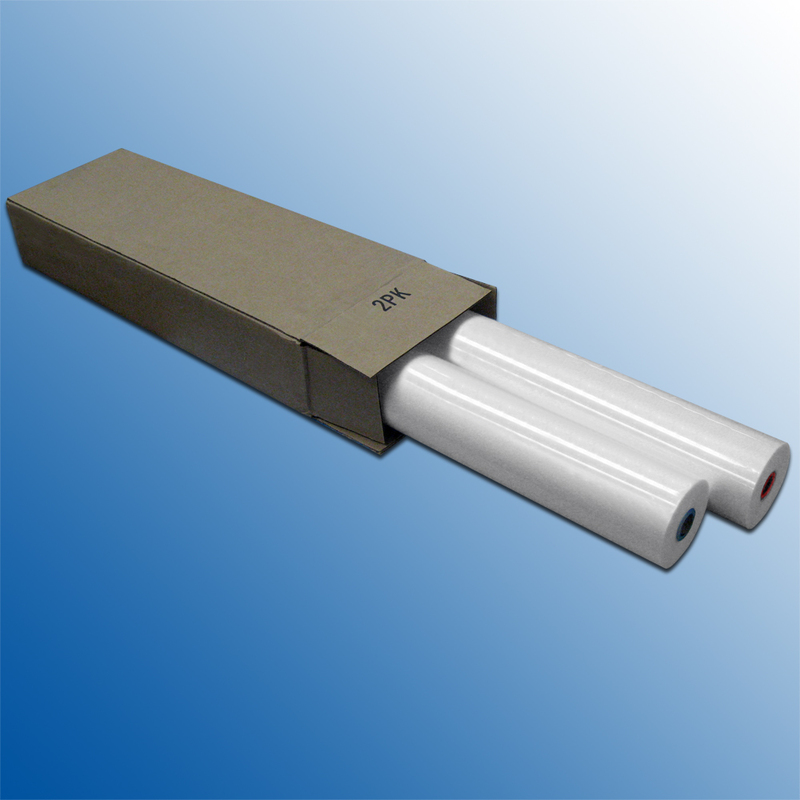 Two (2) rolls of 27″ x 500′ gloss laminating film on 1″ cores. Recommeded for use with D&K Laminex Minikote laminators and other 1″ core lamination systems. Film rolls feature red and blue color-coded cores for easy loading on Minikote laminators. Free shipping on all orders within the continental United States.